Quintessentially British, Harvey Nichols opened in Knightsbridge in 1831, and has been an unequivocal leader in sourcing the most desirable and cutting-edge designer brands ever since. In addition to its recognition as the UK&apos;s premier luxury fashion retailer, Harvey Nichols is also internationally renowned for its expertly edited fashion and beauty collections, premium food and wine offers and award-winning restaurants. 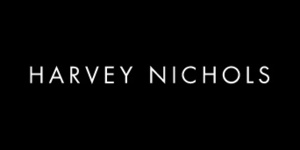 Contributing to this reputation, Harvey Nichols has enjoyed a long history of &apos;firsts&apos; within fashion, solidifying its ongoing leadership position. Among these “firsts” include being the first to introduce fashion greats Alexander McQueen, Balenciaga, Christian Louboutin, Jonathan Saunders, Stella McCartney and Céline to name but a few. These well-established collections sit alongside niche and exclusive labels to offer customers the must-have edit for all their wardrobe needs – from every day to extraordinary. The Harvey Nichols website offers an unparalleled immersive brand experience, with fully integrated content sitting alongside a specially curated selection of products.